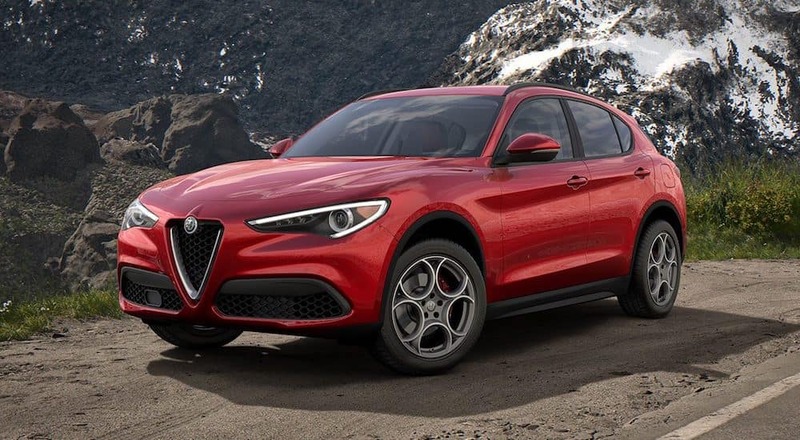 The 2018 Alfa Romeo Stelvio has quickly established itself as one of the most impressive vehicles on the road, and a big reason for this testament is the variety of options the brand provides to their customers. When shopping for the SUV, customers will have a variety of offerings that they can choose from, all but assuring that their new vehicle is truly one of a kind. Fortunately, customers won’t have to spend any time choosing between several different engine offerings. That’s because the all-wheel-drive version of the 2018 Alfa Romeo Stelvio is automatically equipped with the 2.0-liter Direct-Injection I4 Intercooled Turbo Engine, which manages to crank out some incredibly impressive performance specs. Ultimately, when the system is teamed up with an eight-speed automatic transmission, drivers can anticipate 280 horsepower and 306 pound-feet of torque, leading to an astonishing top speed of 144 miles per hour. Surprisingly, the unit is just as efficient as it is powerful. Drivers can ultimately anticipate a 22 city, 28 highway mile-per-gallon fuel efficiency, numbers that are often reserved for significantly smaller rides. While you’ll be dishing out more than $40,000 for your new Alfa Romeo Stelvio, you can at least save some money at the gas pump. Customers will have the option to choose the color of their brake calipers (with the options including black, red, yellow, or custom), and they can also opt for a pair of “mechanical features” (which includes the $250 headlamp washers or the $150 engine block heater). Similar to the exterior, those options also make their way to the interior, as customers will also have a variety of choices to make when it comes to designing their cabin. For starters, the brand offers a trio of impressive leather upholstery offerings, with each adding their own air of elegance and sportiness. The black/black interior is the standard option, although it doesn’t cost extra to go with the black/red or black/chocolate offering. There is a trio of standard radio offerings, with the accompanying touchscreen leading to the utmost convenience. The 6.5-inch radio with Bluetooth compatibility is the standard option. Alternatively, drivers can opt for the unit with the 2D navigation system (extra $600), or they can consider the 8.8-inch screen with Bluetooth Radio (extra $500). For those seeking the optimal driving experience, the 8.8-inch Bluetooth Radio with the 3D navigation system is the way to go, although it will cost an additional $1,550. Of course, no vehicle is complete without a rocking sound system. While the standard offering is more than capable, customers can take that listening experience to a whole new level thanks to the available Harman Kardon Premium Audio speaker system ($900). If you want to rock out to your favorite tunes at any time, you may also want to consider the SiriusXM Satellite Radio and the accompanying subscription to the service. There are a number of additional ways for drivers to personalize their interior. When building their 2018 Alfa Romeo Stelvio, customers can opt for a dual-pane sunroof, an adjustable rail system for cargo, and the innovative Forward Collision Warning-Plus technology (which will alert the driver when a collision is imminent). Of course, there’s also the $50 cargo net, which could be a clever target if you’re looking to stay organized. Finally, customers will have to choose from a variety of different package offerings, with each of the available options providing their own amenities and capabilities. For instance, the Driver Assist Static package (with Front Sensors Package) provides the driver with some safety functions that will help them avoid accidents (like the Blind Spot Detection system and the Front/Rear Park Assist System). The Driver Assist Dynamic Plus Package serves a similar role, adding functions like Adaptive Cruise Control and Forward Collision Warning-Plus. Finally, the Cold Weather Package is focused on providing occupants with a bit more comfort. For an extra $795, owners will have access to a number of heated interior inclusions, like heated front seats, a heated steering wheel, and heated washer nozzles. These amenities won’t only allow you to escape the cold, but they’ll also help you get on the road faster during those cold mornings.